How many times have you been out to eat and noticed the “one-wipe, white Towel dance” that never seems to get cleaned? Yup…we did too and created the Utensil Buddy™ to keep silverware safe, clean and off the table. 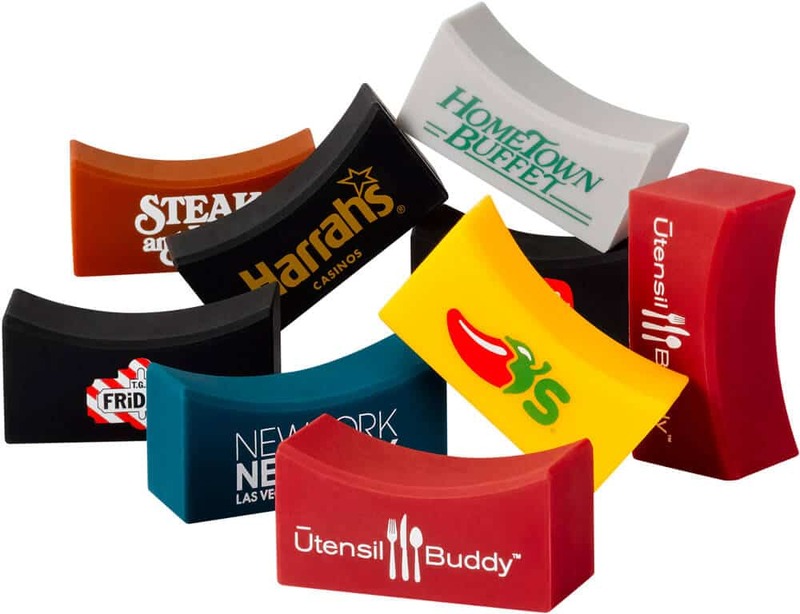 Made of Food-Grade Silicone, it’s a great way to promote and bring back restaurant business over and over. This is a no brainer! Utensil Buddy™ – keeping America healthier… one diner at a time! Enter in your product information below, and we will have a quote for Utensil Buddys to you within 24 hours. It's that simple! Quantity * Minimum of 500 Utensil Buddys.